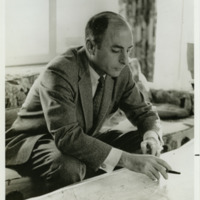 Photograph of Robert E. Simon, Jr. at the DeLong Bowman House. Simon is sitting at a desk and studying planning materials. 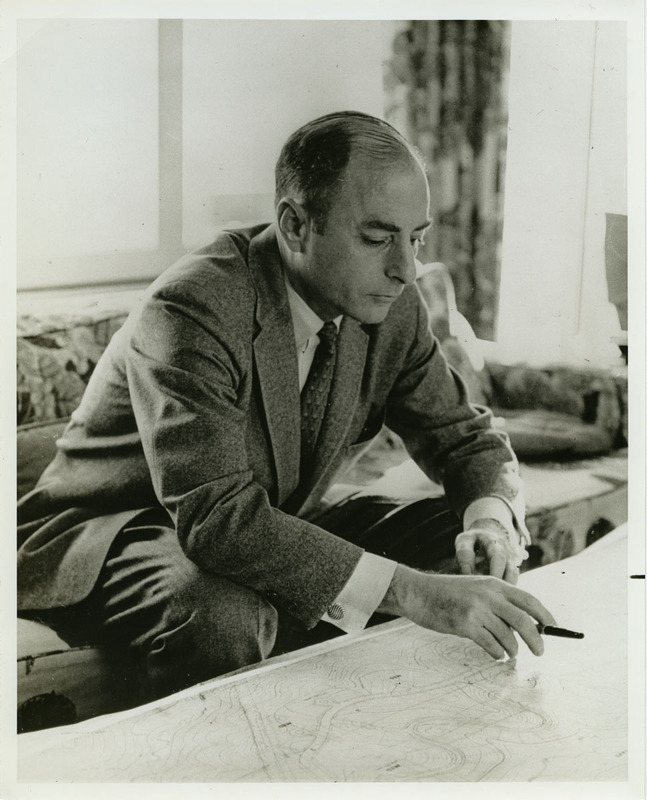 undated, “Robert E. Simon, Jr. at desk,” Reston@50, accessed April 18, 2019, http://reston50.gmu.edu/items/show/9.